Making Wishes in Sedona | What Next? On our trip to Sedona we did a hike to Cathedral Rock just before dusk. All along the way people had built these stone cairns of different shapes and sizes. 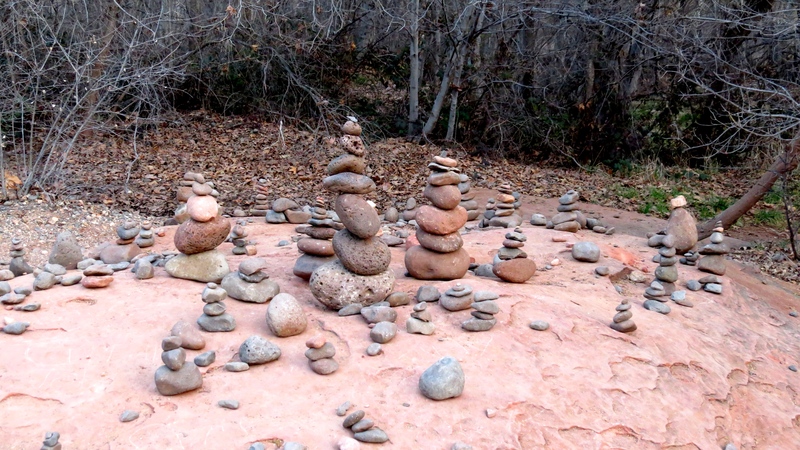 Sedona is known as the site of four special energy vortexes- swirling centers of gentle spiritual energy that interact with the people who enter the vortex area. This energy is said to strengthen people’s spirit. Cathedral Rock is designated as one of those vortex sites. Perhaps because some people recognize the spiritual energy of the area they have built cairns to mark their visit there. I assumed that each represented the hopes and dreams of those who built them. 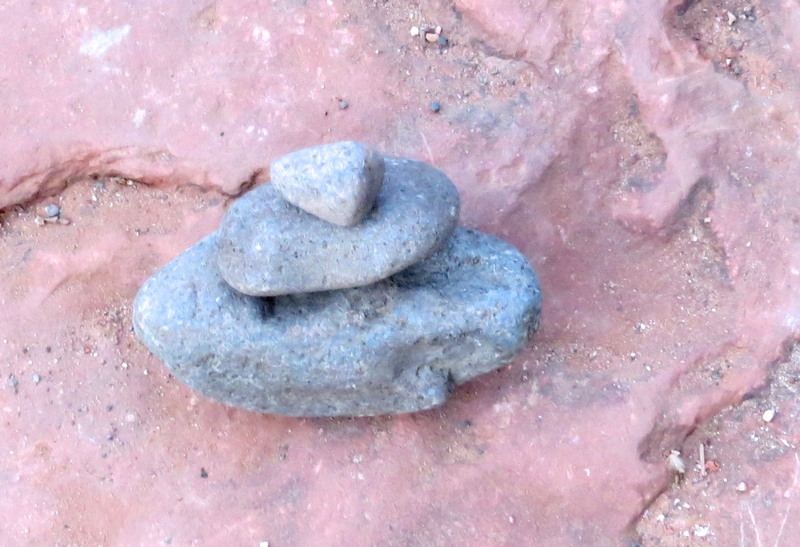 I created two little cairns of my own and said a prayer that the dreams they represented would come true.